You can find pretty much anything you’re looking for on the Internet—as well as plenty of stuff you’re not looking for, and maybe even stuff you wish you've never seen. When you consider that 80% of kids under five are already regular internet users, it’s easy to see why digital technology is riddled with dangers for children. But there’s no need to fear. A little preparation will go a long way in keeping kids protected when they plug in. Here are cyber safety dos and don’ts—for you and your kids. Do consider keeping the computer in a common area of your home where the screen is easily visible to you. Do establish a digital curfew. Collect all devices at bedtime, and keep them until morning. Do set clear limits for which websites kids are permitted to visit and for how long. Make all rules clear in a technology contract (you can see examples of parent-child contracts here). 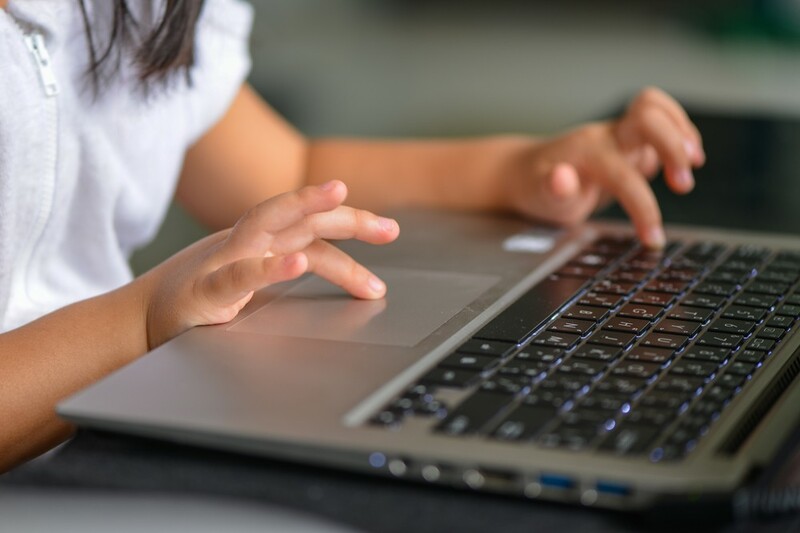 Do make a point of knowing who your child is connecting with online, whether by email, instant messages, online games, or social media. Do teach kids digital time management skills; it can be easy to lose track of time online. Do have your child take you on a tour of their favorite sites from time to time. Don’t underestimate the power of digital devices as a weapon, as well as a tool. Over half of all teens have been bullied online, and over half of these don’t tell their parents. Don’t permit kids to use a specific device or site without first discussing your expectations for their conduct online. Let them know what happens online matters; there are real people behind those avatars. Don’t hesitate to include specific consequences in a technology contract, for breaking the rules. Will they lose online privileges? For how long? Don’t forget to monitor mobile technology like smart phones, gaming devices, and laptops. Make it clear that you will be checking in on their “digital imprint” to make sure they’re staying safe and being safe to others, and let them know how you’ll supervise. Will you check their browser history (if so, they can’t erase it)? Will you use their passwords? Do they have to make you a friend/follower on social media? Do treat people online the same as you would in person—with respect and kindness. Do tell your parents if you see something that doesn’t feel right or makes you uncomfortable. Do keep passwords private (don’t share with friends). Do respect other people’s privacy. Don’t post photos of others without permission, and don’t copy or forward unkind or embarrassing messages. Remember: it’s just as easy to hit “delete” as “forward.” Bystanders have the power to stop bullying. Do follow the rules in your family’s technology contract. Don’t give out your full name, address, or any other identifying info. Don’t go to sites that cost money without a parent. Don’t give out credit card info. Don’t send a picture over the email without your parents’ permission. Don’t respond to messages that use profanity or are threatening, scary, or bullying. For more info, visit Safe Kids or Netsmartz.